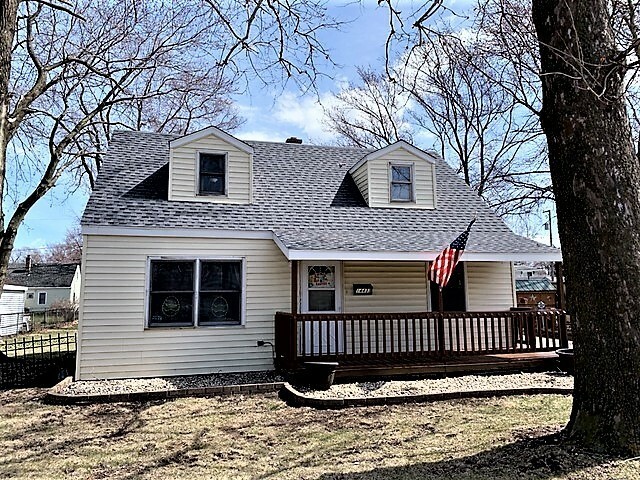 Move right into this exceptionally clean , Beautifully updated and affordable Cape cod in a great Midlothian location.Large galley kitchen with breakfast nook, lots of cabinets, stainless appliances & bonus pantry. Separate dining room opens to the kitchen to make entertaining easy. 1 bedroom and full bath on main level and 2 large bedrooms and full bath upstairs. Lots of storage through out the house. Laundry/mud room right off the back entrance. Big back yard with large deck and fire-pit ready for those summer parties. Sit and relax on your cozy front porch or enjoy a short walk to the many area amenities. Oakforest Schools with convenient school bus pickup on the block.